Shaheed Bhagat Singh is already considered to be a legend. 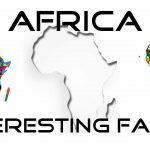 However, the legend left the world a series of inspiring actions even though he died at a relatively younger age. 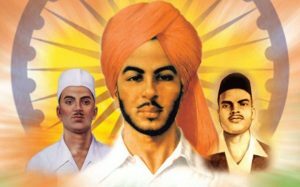 Bhagat Singh a great martyr of Punjab, popularly referred as Shaheed-e-Azam Bhagt Singh, was born on 28 Sep 1907 at the village of Banga, Lyallpur district (now in Pakistan). 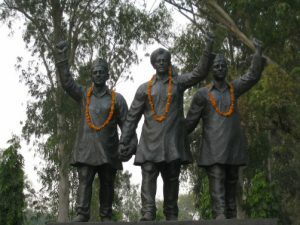 Considered to be one in all the most powerful revolutionaries of the Indian independence movement. He had a spirit of martyrdom since his childhood. In the leaflet he threw in the Central Assembly on 9 Apr 1929. He stated that it’s simple to kill people but you can’t kill the ideas. Great empires crumbled while the ideas survived. During his stay in jail, he went on a hunger strike against the policy of better treatment for prisoners of foreign origin. 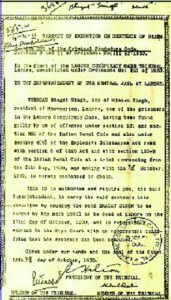 He together with Sukhdev planned to revenge the death of Lala Lajpat Rai and plotted to kill the Superintendent of Police James Scott in Lahore. But in a case of mistaken identity, John Saunders, the Assistant Superintendent of Police was shot. 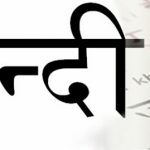 Bhagat Singh left home for Kanpur when his parents tried to get him married, saying that if he married in slave India, “my bride shall only be death” and joined Hindustan Socialist Republican Association. His death sentence was pronounced on 7 October 1930, which he heard with defiant courage. Throughout interrogation, the British came to know regarding his involvement of in the death of John Saunders a year earlier. Although a Sikh by birth, he shaved his beard and cut his hair to avoid being recognized and arrested for the killing. He managed to escape from Lahore to Calcutta. 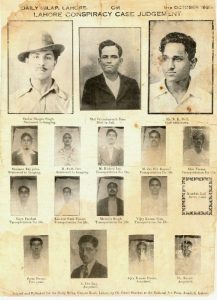 A year later, he and Batukeshwar Dutt threw bombs within the Central assembly hall in Delhi and shouted “Inquilab Zindabad!”. He didn’t resist his arrest at this time. 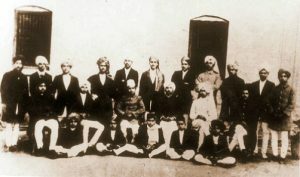 At the time of his trial, he didn’t offer any defence, rather used the occasion to propagate the idea of India’s freedom. 12. India’s most famous freedom fighter was only 23 years old when he was hanged. His death impressed hundreds to take up the cause of the freedom movement. 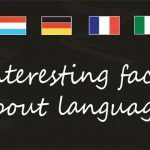 Facts About Independence Day Click here. 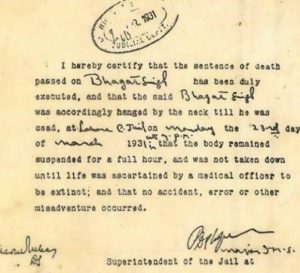 He was sentenced to be hanged on 24 March 1931, however it was brought forward by 11 hours to 23 March 1931 at 7:30 p.m.
10. it’s said that no magistrate was willing to supervise the hanging. After the original death warrants expired it had been an honorary judge who signed and oversaw the hanging. 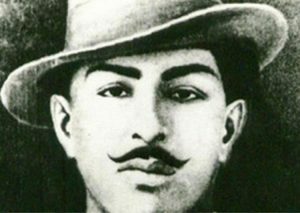 We have listed 12 interesting Facts about Bhagat Singh, man who sacrificed his life for Freedom of India. He’s remembered for his bravery, his idea and his leadership skill. At the age of 23 he had influenced youth everywhere the country ans asked them to join the movement in any way possible. Born on 28 September 1907 and Martyred on 23 March 1931. His 24 Years of Life had much much more influence than Billions of soul.